Kimberly Braun, Minister, M.A., CSP and Meditation Coach has been impelled from and within her contemplative experiences from the age of 5, with over ten of her years spent as a Carmelite monastic nun. 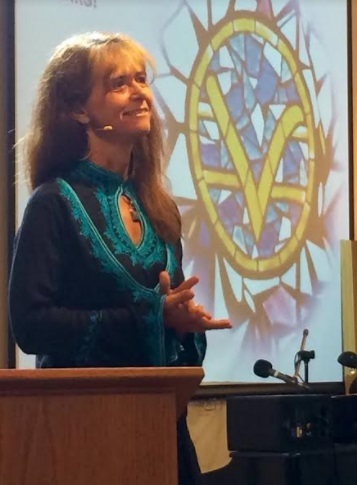 Her Masters in theology was completed in 2001 in Washington D.C., and is concentrated upon the adult spiritual journey. As a CSP, keynote presentations are a primary tool in her personal mission to inspire others to live from the power and wisdom within them. Her style is playful, deeply inquiring, and intelligent in the synthesis of not only how to access this part of ourselves, but how to live from that place more consistently. 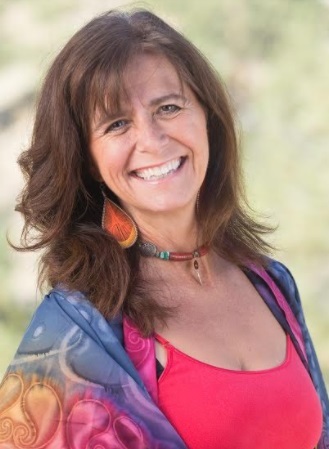 She is a retreat and workshop facilitator, TEDx speaker, meditation faculty at the renowned Omega Institute, and fellow seeker on the path to living freely. She has three CDs and a book now available about her time as a nun, Love Calls, Insights of a former Carmelite nun. She is just launching into the online world with her World Meditation for Happiness project, new online courses, and a FREE online spiritual community, www.essencetribe.com. I am best at opening to inspiration, seeing the vision and bringing the vision to manifestation. This is true in the traditional ‘project’ sense of the word…but extends to the interpersonal realms of being a catalyst for others experiencing inspiration…seeing them…and bringing the fullness of that life into being. That sounds lofty, doesn’t it? On a practical level it could be as integral and simple as facilitating a group, person or organization to identify their best self and live from that place. Decreasing stress in life, increasing quality of focus, insight, peace and joy is one example. But it includes projects as well from building a multi-million dollar monastery with little resources and even less experience, to creating a community building festival all the way to my newest project to bring a new paradigm for spiritual community into the online sphere. One of the integral aspects of me is that I am a Lover; and I find that I live most courageously, passionately and intelligently in this ‘relationship’ with all of and in the world as the Beloved. It is an ongoing experience and as much as I LIVE from that place, my life is synchronistic. My natural gifts are poured forth, I learn knew parts of myself that are being revealed, and I continue to change and grow and be of service. My goal in life is to become the ineffable in form…another pretty lofty statement! The more I can BE that which is Life Force in every thought, word and action the more I will be happy and feel I have lived a full life. That being said, I long to be in service of every person realizing their fullest potential! To find that all I have to offer helps another shift into the person they know they are meant to be is bliss to me. And in addition to see our world, where the human species is a part, flourish instead of moving towards destruction is part of that goal or ambition. When people shift and heal and transform, then new choices coming from a place of genius can come into their minds AND acted on with ease. To this end, on the practical level. I would like to see my work move into the online world with incredible success. I would like to see my World Meditation for Happiness project boast thousands of world-wide participants, I would like to have my classes filled and see my speaking engagements grow to be 50% of how I spend my time. Wow. This is a big one because what outwardly looks like the biggest success is not what I would consider my biggest success. 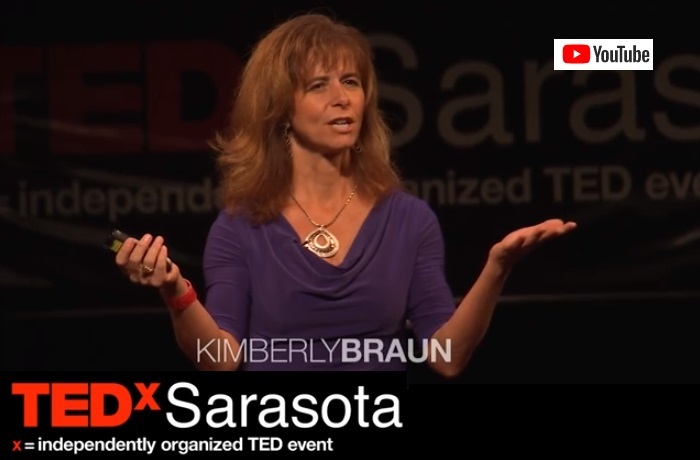 Outwardly my TEDx talk shows the quality that is my biggest success- that is, what is possible when I stepped into the unknown of what I am capable of accomplishing. I said yes to building a monastery with no experience, as a young 29 year old nun, and in a community where we had little to no resources. That yes led, long story short, to all the resources, people, supplies and personal know-how to be the general contractor for the awe-inspiring 17,000 square foot mission style monastery that was completed debt-free! That success materially is an inward success – trust, audacity, faith, and true adventure- that is my success, to be available to life in THAT way. It has led me along my spiritual and business path and keeps me true to the ever changing nature of ‘knowing what is true,’ even when it has meant loss of so much dear to me because I do not ‘fit’ the mold anymore. It is my greatest consolation and has been the strength amidst my greatest loss. My most challenging moment. Hmmmm. There have been many for sure so it is quite difficult to isolate one as the most challenging. I would say my most challenging moment inwardly was when I doubted my own value and being here on earth, in my late teens, that led to deep discouragement and depression. It even led to self-hatred and self-judgment. Coming through that challenge has given me the level of understanding and compassion that makes me the type of person that can go ‘anywhere’ without self-consciousness if it is aligned with what is authentic and true. Outwardly my most challenging moment was when the community I was a part of when building the monastery- both the religious and local society- doubted I could be building such a project without some kind of deceipt or guise, I was held in suspicion and lots of untrue accusations spread like wild-fire through the community making my life very very difficult, threats were even made upon me. As I persevered the lies fell away and my own strong character of honesty and integrity showed through. My favorite people are the unknown ones you meet on the street, in the market, unexpectedly in your day that radiate simplicity, joy and wisdom. They are my teachers. My favorite destinations are places that have a powerful, moving, even sacred quality. Some are places civilizations have built like temples, mosques, monasteries, geometric configurations and some have emerged from nature. Places like Stonehenge, Maccu Pichu, Yosemite, Sedona vortexes, Glacier National Park all take me into their magnificence. And equally do hole in the wall music joints where great music has first been played, galleries of art or long lived festivals where ethnicity, dance, poetry or art are celebrated...they all excite me too! Oh, we can't forget the amazing food to be found all around the planet! At this point it will probably not surprise you that my favorite objects tend towards the esoteric and named ‘sacred.’ Icons, high energy objects like certain stones and such, books written by inspired people. I LOVE to cook! And to enjoy the cooking of others! I love to dance, read, create video and write poetry. I love to be in nature without other humans and to have fun with other humans at parties. I love to be part of projects that aim to change the world- to envision them, be part of a larger team, and even be the leader of a team.